On 23rd February the House of Lords considered the Government’s Neighbourhood Planning Bill at Report Stage. 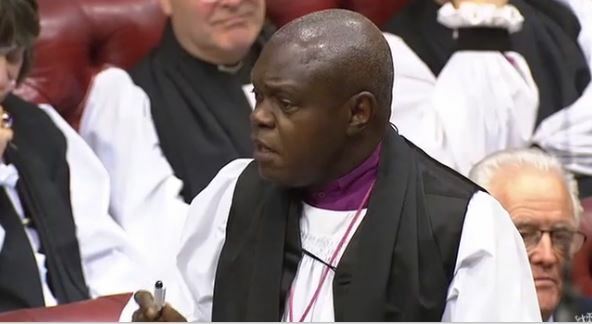 The Archbishop of York, Most Revd & Rt Hon John Sentamu spoke in support of an amendment from Lord Stunell on planning authority regulations. The amendment was put to a vote and passed by 113 votes to 107. Clause 13 concerns pre-commencement planning conditions. This is the most controversial aspect of the Neighbourhood Planning Bill as it attempts to ban pre-commencement planning conditions without the developers’ agreement. This has been done on the basis that such conditions slow the development process, but I remain concerned that it could lower environmental protection and other standards. This is at the heart of the Bill. Amendment 11 was very graciously withdrawn because it would have neutered the entire Bill. I do not know why Amendment 12 was not pressed as it goes in almost the same direction as Amendment 18, but be that as it is. The change we are discussing shifts the balance of power towards the developer. I know that this is a very technical issue and that there are arguments on both sides. However, I support Amendment 18 because it seeks to give local authorities exemptions to the regulations framework, particularly in regard to conditions that ensure conformity with the national planning framework. The Government’s proposed arrangement in which local authorities can only refuse planning permission entirely may lead to some authorities compromising on important environmental regulations in order to get a development off the ground. The noble Lord, Lord Stunell, eloquently explained Amendment 18, and was supported most eloquently by the noble Baroness, Lady Cumberlege. That amendment would ensure that regulations would not prevent a local planning authority imposing conditions on a grant of planning permission that are in conformity with the National Planning Policy Framework. If we do not allow that subsidiarity in every local authority, I am afraid that we will lose some of the best planning regulations. Therefore, I support this amendment because what it seeks to do is in keeping with the National Planning Policy Framework. It simply says that these regulations will not prevent local planning authorities imposing conditions on developers which they consider necessary in the interests of the environment, the development and sustainability. Therefore, as I say, I support the amendment too. Lord Stunell: ..I thank the Minister and noble Lords who have contributed to the debate…. I was delighted—it was certainly a first—to receive the blessing of the most reverend Primate the Archbishop of York for the amendment.